When I Realized My Calling. When I was a little girl my mother always made sure my sister and I had special Birthdays. She would spend days making icing flowers and cascading them all over our cakes. At that time I didn't appreciate all the work she put into I was only concerned about how many scoops of ice cream I was going to have with my slice. Now that I'm older with children of my own, I can look back on those memories and realize how much she cared about us. When my oldest son turned two he was HOOKED on Thomas The Tank Engine and I thought...wouldn't it be neat to make a cake that looked like the train...it was my first attempt at sculpting cakes and there where A LOT of mistakes...but when he saw that cake his eyes got SO big I think his little heart stopped beating for a split second. I thought about how my own mother must of felt seeing the looks on our faces when she would present us with the cakes she had labored over for countless hours. Well, that was all I needed to motivate me. I thought it was fun (although sometimes stressful when things didn't work out the way I planned) but in the end it's well worth the work to see the happy and sometimes stunned faces of the cake honoree. 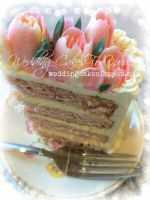 That first cake was a learning experience and I corrected my mistakes, did some researching on line & in magazines & books. I tried new cake decorating techniques and sometimes they worked and sometimes I failed-but I never gave up. 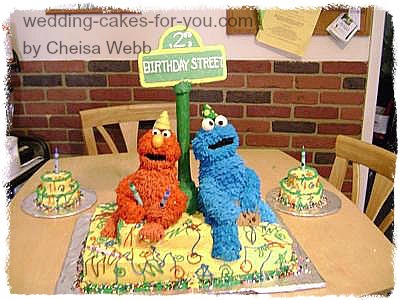 When my twin boys turned 2 I wanted to make them a special cake just like I had done for their brother and I came up with an idea. The boys each had a Seasame Street doll they slept with and carried with them everywhere...so I drew a picture of Elmo & Cookie Monster and grabbed my apron & mixer and went to town... I sculpted the heads out of rice cereal treats and the bodies out of stacked cake. I used store bought fondant for the eyes and ears (which I'll never buy again because of the recipe I found for marshmallow fondant that tastes better and cost about 1/3 as much as the store brand *see below for recipe*) I used a grass tip for Elmo's fur and a basket tip for Cookie's. It took a while and I got a few hand cramps but it looked awesome in the end. When it was all done, I stood back and said...WOW! Did I really just make that?? I think I was as shocked as the twins were when they saw it. It was hilarious...They both just stared...they didn't even try to put there fingers in it (like most kids do when they see a cake) The oldest twin just kept saying "Cookie?" (what he called his stuffed toy) over and over again. It was my favorite cake and I'm sure when my boys get older (even if they don't start decorating cakes) will be able to look back and appreciate the time I spent making it and realize how much I loved them. Put marshmallows and water in a large bowl and microwave for about 1 minute (until melted) remove from microwave and stir with a wooden spoon or spatula. Stir in powdered sugar a cup at a time until you can't stir it anymore. Cover (and I mean COVER) your hands with a generous helping of shortening and cover a clean countertop with a generous helping of shortening (I use a non-stick mat but the countertop works just as well) scoop the mixture onto the countertop and start kneading it. It is REALLY sticky but keep going & it will be fondant soon..add more powdered sugar as you knead and re-grease your hands as needed...the shortening will also help keep your fondant moist and less likely to crack when it's rolled out so don't be afraid to use the whole cup if needed. Keep kneading until it gets to the consistency of putty. You can use it right away or form it into a ball cover with more shortening and wrap tightly with plastic wrap and put it in a ziplock bag. It keeps very well in the refrigerator for a week (probably longer but I never pushed it) when you take it out of the fridge you may need to microwave it for a few second to soften it up again. Start with 15 second and try kneading it a little. You can roll it out to cover a cake or use it like edible play dough making whatever your imagination can come up with...and don't forget the most important part...JUST HAVE FUN! 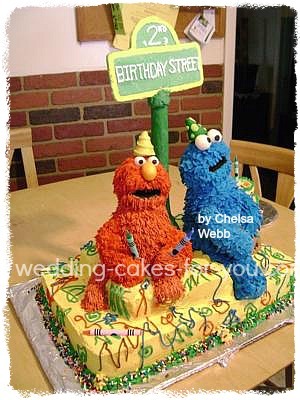 like I did with my Sesame Street Cake Featuring Elmo and Cookie Monster. 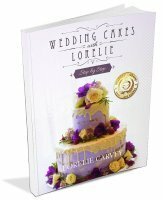 An absolutely inspiring story about your cake decorating experiences. My grandma was very instrumental in my decision to decorate cakes...she too spent many hours and countless late nights working on birthday, Easter, any special occasion cakes for us and I'm sure she enjoyed watching us react to her cakes. Now I do the same for my son and a few close friends/family and so enjoy the experience of watching them react and their excitement over a cake! It's a lot of hard work and many people ask my why go through all that work just to have the cake sliced into a short while later. Oh but the joy of the look on the kids' faces and their excitement is well worth it! 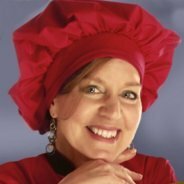 I have never worked with fondant and I am working myself up to trying it. 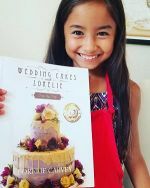 Your fondant recipe seems quite easy to do! I will definitely give it a try. Just one question, it says a large bag of powdered sugar, do you mean a 2 pound bag? Thanks for your wonderful cake and inspiration! 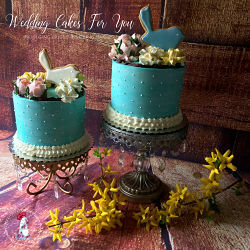 Yes, 2 Lbs is what I use...thank you for the feed back...I hope you enjoy the fondant recipe! Love, love, love this! What a fantastic cake. I love the 2nd Birthday Street sign! Very creative. and the figures look just like the characters. You did a fab job!!!! 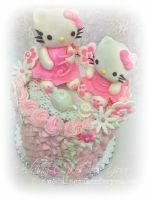 What an adorable cake. 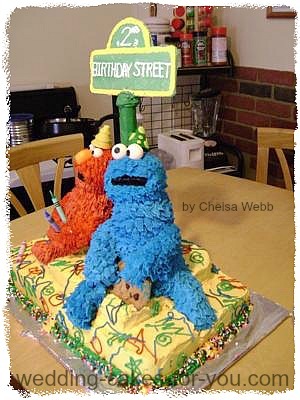 It must make a lot of children, and probably some adult closet Elmo and Cookie Monster, fans happy. This cake exhibits a high level of difficulty between constructing the characters and creating/decorating the fur. I hope it tastes as great as it looks.